← Take A Walk – After All, It’s Wednesday! A cell phone for both of you to carry. One that takes pictures is best. Once you arrive at the mall, choose who is “IT”. The other spouse enters the mall to find their perfect hiding spot while the one who is IT stays in the car until they receive a text saying “Come and Get Me!” You text back, “Ready or Not, Here I Come!” It is the hiding spouse’s job to send hints by text or pictures to the one who is IT. See how long it takes your spouse to find you. One hint should be given every minute or so in order to keep the game moving forward. We have yet to try this out for ourselves, and I’m sure there a lots of variations you could add to make it even more exciting. For instance, you could send them on a scavenger hunt where they have to take pictures of certain things before they’re allowed to find you. You could surprise them by showing up at one of the places along the way. And you can always end the night by enjoying a snack in the food court or a restaurant nearby. The point is to make looking for your spouse a fun adventure. You could isolate the game to one department store to start off in order to make it easier to find the hidden spouse. 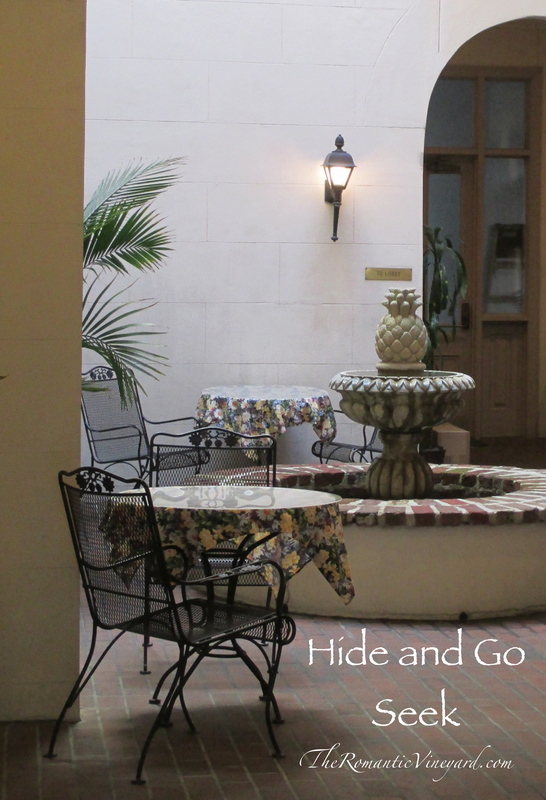 Can you think of more ways to spice up this version of Hide and Go Seek? We’d love to hear from you. This entry was posted in Christian Marriage, Creative Dates, Date Night Ideas, Free Dates, romantic date nights, Romantic Ideas, Summer Date Ideas and tagged creative date nights, Hide and Go Seek, Hide and Go Seek Date Idea, Mall Date Ideas, Romancing your spouse. Bookmark the permalink. Sounds interesting. I would like to hear from folks who have actually tried this out including variations as well. Way back in my high school days we did another game called the Super Market game where two people or teams would grab shopping carts and select random and obscure items throughout the store then exchange with the other team. The team that returned all the items back to their proper place first won. This might be something fun to do on a double date with another couple as you laugh at the crazy items you never have seen rushing to put them back before the other team does. Winner could buy the other team dessert, coffee or have some other small prize.